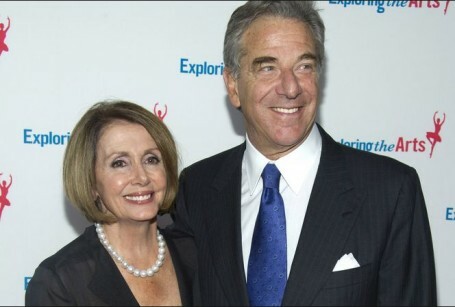 Politician Nancy Pelosi Married To Husband Paul Pelosi; Do they share any Children? Nancy Patricia D'Alesandro Pelosi is an American political personality and member of the Democratic Party with an estimated net worth of $26.4 million through her stocks in companies like Apple, Comcast, Facebook, etc. She has previously served as the Chair of California Democratic Party and as the 52nd Speaker of the United States House of Representatives from 2007 until 2011. Democratic strongwoman Nancy Pelosi probably doesn't need any introduction in United States political circles. The American public is well aware of her disputatious nature. She is known to put herself in heated arguments with leaders of the opposition Republican party, and she is also fond of heavily criticizing the decisions of other world leaders, many of whom have learned to live with the offense she showers on them. 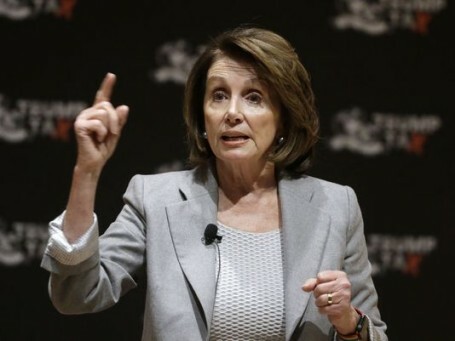 Nancy Pelosi, 78, is married to husband Paul Pelosi. The couple got married at a ceremony in Baltimore on September 7, 1963. They have five children together: Christine, Jacqueline, Nancy Corinne, Alexandra, and Paul. It does not stop there. The duo is also blessed with eight grandchildren. Who Is Nancy Pelosi's Millionaire Husband? Pelosi's husband, Paul, is a businessman and venture capitalist. He runs Financial Leasing Services, Inc., which is based in San Francisco and does real estate and consulting services for its clients. Paul, 78, earned his Bachelor of Science degree from Georgetown University. Unlike his wife, a former Speaker of the United States House of Representatives, Paul is not involved in politics, and we assume he does not like to get involved in heated arguments as his spouse does. However, the couple seems to be living a happy married life with their five children and eight grandchildren. 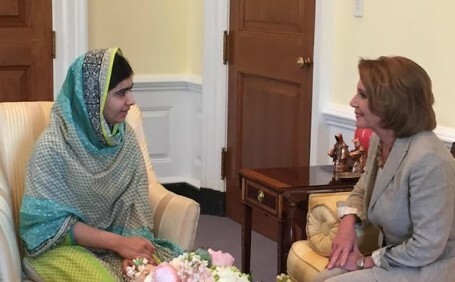 Nancy Pelosi Is A Caring and Sensitive Woman? However, don't let her heavy hitter personality fool you. Nancy has not only been a political machine all her life. She has a softer side too. That side, it seems, she chooses to show to her family and close friends. Often, we forget that top politicians also have a family life, and in that life, they like to show their caring and sensitive nature. She was born on March 26, 1940. She is the first woman in US History to be elected Speaker of the House of Representatives. She has five children with husband Paul Pelosi. In 2007, her brother Franklin D. Roosevelt D' Alessandro, died of cancer. With $26.4 million in net worth, she's one of the richest members of Congress. She was born into an Italian-American family. She was ranked by Forbes as the 26th most powerful woman in 2014.